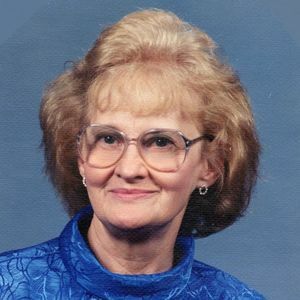 Eunice H. Ware, age 85, of Gaffney, SC formerly of Spindale, NC, died Saturday, October 27, 2018 at her residence. Eunice was born June 4, 1933 in Rutherford County and was the daughter of the late Ina Mae Hudgins. She worked in textiles for many years and was also a dietician for Oak Grove Nursing Care. Eunice was a member of the Church of the Brethren of Spindale and enjoyed doing housework and gardening. In addition to her mother, she was preceded in death by her husband, Lawrence Grady Ware, Jr. and a sister, Maybell Head West. Those left to cherish her memory include one daughter, Teresa Humphries and husband, Wyan of Gaffney; two sons, Larry Gerald Ware of Ellenboro and Ricky Ware and wife, Deborah of Cliffside and a brother, Robert Hudgins and wife, Dorothy of Gilkey. She is also sur vived by seven grandchildren and 14 great-grandchildren. A graveside service will be conducted at 11 a.m. on Tuesday, October 30, 2018 at Eternal Hills Memorial Park with Reverend Glenn Head officiating. The family wishes to thank all of the Hospice caregivers for their compassion and love given to Eunice during her illness.